Generate serious side income from the stocks that you already own... like a PRO! Are Currently Using Options to Generate Monthly Income with Covered Calls! 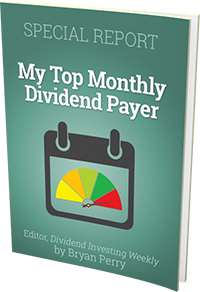 The covered call strategy is a conservative approach to making monthly income, and simple to execute. Pros often sell options to others to make a nice income stream. And we're here to show you how the Pros think and make it easier for you to do the same. Do you already buy and hold stock? Great! You can sell covered calls against your stock and bank the extra income. And we will show you how covered calls have historically performed vs your buy and hold strategy. let’s not pretend it can’t be a total pain! After all, it takes serious time and energy scouring charts and organizing a spreadsheet to ensure you’re writing the best, most profitable calls... does it not? You Need to Start Using A Covered Call Screener! If you aren’t earning a profit on your stock shares, then you aren't maximizing you're income potential! ...How Often Would You Do That Trade? How do You Know Which Covered Call is the BEST? Just To Find The Best Covered Call For One Stock? Are you FRUSTRATED with the extensive time and effort it sometimes takes to implement a successful covered call strategy? Are you a bit INTIMIDATED by how COMPLICATED the process can be? Somehow become hours and then days of research. Money wasted...time wasted...with little or nothing to show for it. Somewhere between searching for trade ideas and scanning the market to find that trade opportunity. Or they simply don't have enough time to scan the entire market at all. Do you wish there was a SIMPLIER and more TIME EFFICIENT way to Effortlessly and Consistently do more SUCCESFUL covered call option trades? Smart traders are already utilizing this Screener to increase their odds of successful. DONT MISS OUT! Yes, scanning the entire market for the best cover call opportunties would have taken days to do...And now You can do it in SECONDS! Would you rather GET PROFITABLE TRADING OPPORTUNTIES INSTANTLY or spend your time laboring with tedious research, sifting through endless data and analyzing individual symbols? TIME IS MONEY! Our screener takes care of the TEDIUS, COMPLEX, BULKY RESEARCH WORK, so you can FOCUS ON MAKING MONEY. Easily Create and Save customized screens based on your trade preferences and receive ongoing new profitable opportunities. Instantly Screen thousands of covered calls to ensure you’re not missing out on the best trading opportunities. Use our covered call screener to Save Time, Minimize Risk and Maximize Returns. ELIMINATE THE GUESS WORK and TRADE WITH CONFIDENCE and EASE. Back Test to INSTANTLY Evaluate Profit Potential and SUCCESS PROBABILITY. Compare the Success of covered call strategies vs stock only strategies to determine which brings better results in the long run. It's like taking a huge chest of different trading tools...and having ONE screener that does ALL the stuff all the other tools did, but for a fraction of the cost! Then I want you to sign up for a FREE 1-week trial today, and see for yourself how simple it is to find trading ideas that are profitable...even if you're no good at trading or you've never done option trading research yourself! Let Me Show You Everything You'll Get Today When You Join MarketChameleon Today!